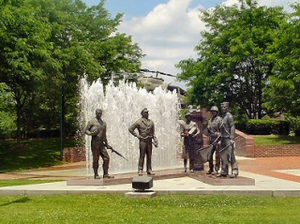 On Wednesday, May 15 from 11:30 to 12:30, Bristol FOP Lodge # 28 will hold the Annual Police Memorial event at the Veteran's Park in Cumberland Square Park. The organizers reach out to law enforcement departments as far north as Bland County, VA and as far south as Greene County, TN — last year's event saw the attendance of over 150 law enforcement officials. Everybody is welcome!